HOS BACnet is a full-featured BMS automation software with support for BACnet Control protocols, compatible with almost every DDC, PLC, or any other BACnet Controllers. The software is an apple iOS or TVOS application that is configured and controlled from anywhere in the world with any web-enabled iOS or TVOS device. The App provides a live monitor to the devices with animated 3d views reflects the state of the device On or Off also Live Values represent the actual percentage (or other units) related to the device during actual operation (Live Animation Requires Add On HOS Live Plugin). 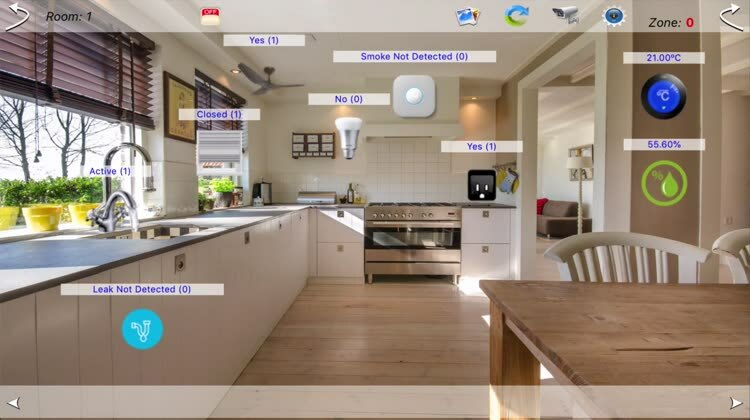 House Operating System (HOS) is designed to control thermostats, sensors, fans, actuators, pumps, dampers, water valves, light switches, door locks, audio / video equipment, cameras, garage doors, energy monitors and much more. With a dedicated library of rooms profiles and Animated remote controls skins professionally designed to meet with most modern BMS/SCADA networks, devices and standards. - Runs all DDC, PLC, or any other BACnet Controllers. - Multi profiles allowing you to control as many BMS’s as you wish from one iOS device.